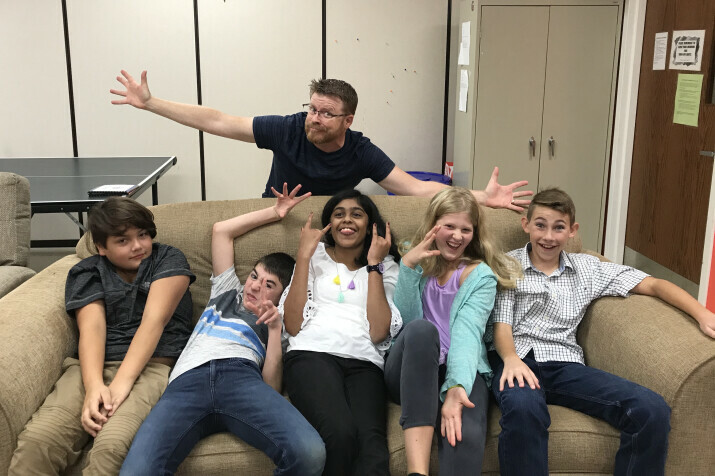 Junior High School Ministry for 6th, 7th, and 8th graders at St John’s is meant to draw kids… toward Christ, toward one another, toward church. We aim for this to happen through meetings in which we merge the things they pay attention to in everyday life like music, movies and friends to what God pays most attention to. We hope that in discussing the world around them in relation to God’s word they will see his immense love for them and God’s foundation to their lives today. And in connecting Christ to their lives they will develop a greater appreciation for the body of Christ and their experience of church. This spiritual emphasis is complimented by laughter, games, and fun activities that bond each group of kids as they grow together. Sunday Morning Meetings take place in the youth room from 9:15-10:15 a.m. Parish Breakfasts replace morning meetings on the first Sunday of each month. Meet and Eat is a once a month gathering of both Junior and Senior high groups from 4:00 - 6:00 p.m. in the Parish Hall for food, fellowship and a planned activity. Monthly special events on weekends occur at varying times and notification will be by e-mail.